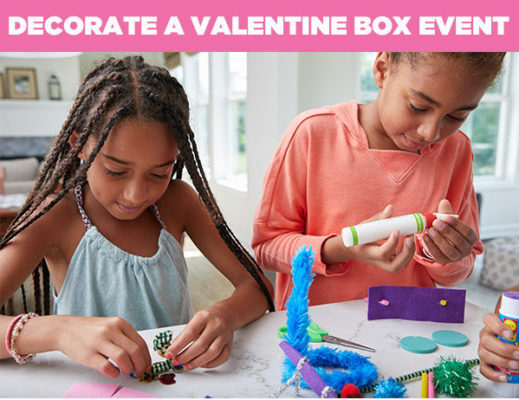 Get ready for Valentine’s Day by heading to any Creative Kidstuff location to decorate a Valentine Box on Saturday, February 9th from 10 am to 1 pm or Sunday, February 10th from 11 am – 1 pm. Bring in a box from home and the store will provide all of the supplies you need to make a “sweet” box to hold your valentines. This event is free to attend. Creative Kidstuff has six locations: Mall of America, Galleria (Edina), Minneapolis, Ridgedale Center (Minnetonka), Shops at the West End (St. Louis Park), and St. Paul.